DSConf Timetable is online !!! Timetable for the DeveloperSolutionConference is now online. We finished to organize the speakers,topics,examples,slides and compiled our stuff to a time table. 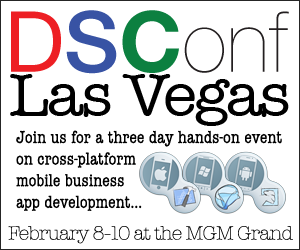 Now you can see what we do exactly on the brand new DeveloperSolutionConference!!! Last Minute Chance to book your tickets and come to vegas!